The Mature Mouse™️ received a little bit of Disney Magic this morning. The fourth day of my solo trip was a busy one, and the next two days were spent traveling home and visiting family. Then, I headed back to work. I finally have a moment to give you a recap of my last days at Walt Disney World. The Mature MouseTM took advantage of the Extra Magic Hour at Epcot, arriving at 7:45. After a ride into the past on Spaceship Earth, I enjoyed several of the exhibits of the Flower & Garden Festival. Very few Future World attractions, restaurants, and stores are open during Epcot’s Extra Magic Hour. My afternoon and evening were spent in Adventureland, Frontierland, and Liberty Square at Magic Kingdom. I had planned my three visits to the MK to focus on specific areas of the park. This minimizes walking, and allows for flexibility in experiencing these areas. Mark Twain once described golf as “a good walk spoiled.” The Mature MouseTM finally rode Big Thunder Mountain Railroad. And, to paraphrase Mr. Twain, BTMR is a well themed attraction spoiled by a thrill ride. This rollercoaster never slows down long enough to enjoy the scenery created by Disney’s Imagineers. The Mature MouseTM also had the opportunity to ride the Liberty Square Riverboat, something I have not done since my first visit in 1972. This ride down the Rivers of America afforded me a great view of Frontierland and Haunted Mansion. I make every attempt to make appropriate FastPass+ selections each day of touring the parks. Because I used one of my FP+ for Big Thunder Mountain Railroad, and the other two were used for the Haunted Mansion and Jungle Cruise, I had to wait about 15 minutes in the stand-by line for Pirates of the Caribbean. This attraction is always worth the wait. The morning of my last day at Walt Disney World was spent roaming All Star Music Resort. If you are planning a WDW vacation with a very tight budget, All Star Value Resorts are a good choice. I did not take advantage of the pools or play areas, but many of the guests did and they looked to be enjoying themselves. The Mature MouseTM will be posting more detailed reports from my experiences during this trip. 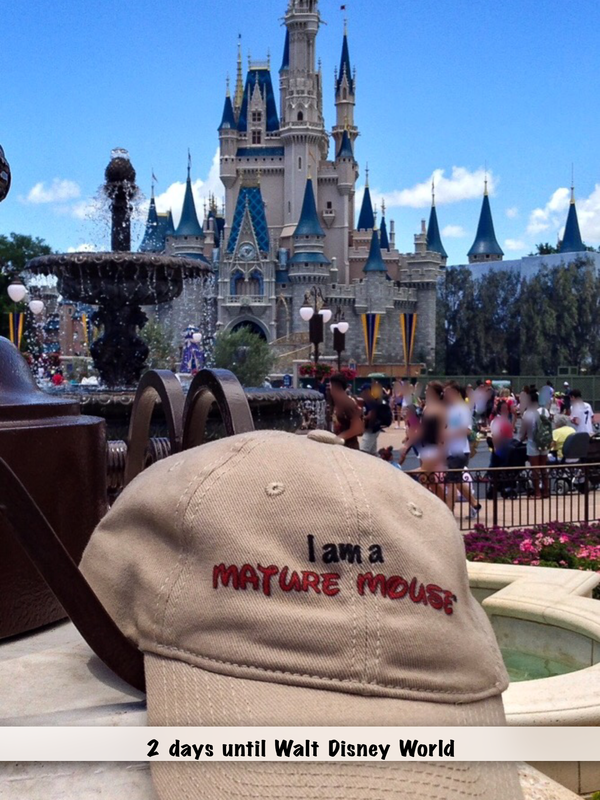 Please use this link to visit The Mature Mouse™ store for logo merchandise. Many of the items would make great gifts for the Disney fan in your life. Make sure you consult Jennie Nowers about your next Disney vacation. She will assist you in all your vacation planning. Tell her that The Mature Mouse™ sent you and receive a special gift from Jennie with your next booking. Day 2 was an adventurous one for The Mature Mouse™. My morning began with a safari in Africa and ended in a galaxy far, far away. More details to come in posts after my trip, but here are a few pictures to pique your interest. The Mature Mouse™ will be back at Walt Disney World in just two days. I plan to post a short recap of each day. See you in the parks! 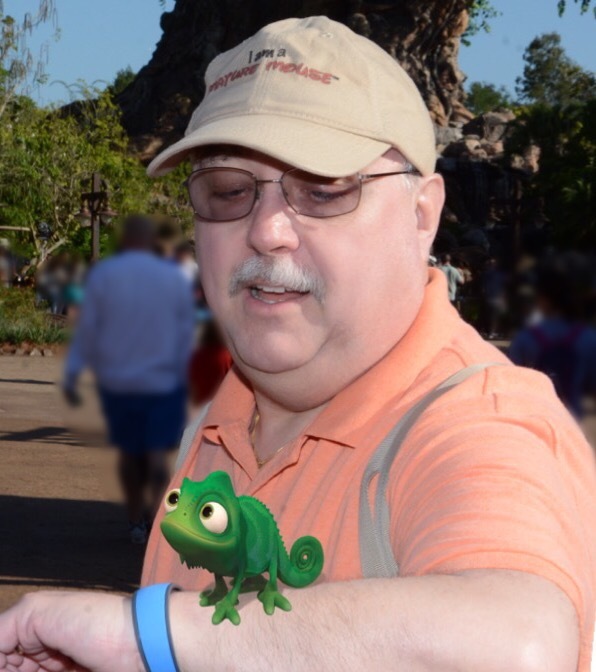 The Mature Mouse™ is now 54 days away from his return to Walt Disney World. All plans, including my dining and FastPass+ reservations, have been made. 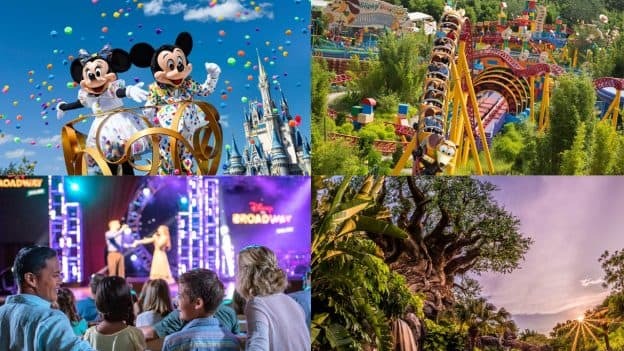 As I stated in my post, The Mature Mouse™ returns to Walt Disney World, the first thing I do in planning my trip is review various crowd calendars to determine which park to visit on each of the days of my stay. Here are three calendars, each from a different source, for the week of my visit. You will notice that there does not seem to be an agreement between each of these sources. The first image comes from Touring Plans. I subscribe to the site, which is minimal cost compared to the amount of assistance you receive in planning your trip. I use the site to develop touring plans for each park I visit. I do not necessarily stick to the plan, but it allows me a guide, as well as the flexibility to make the most of my stay. Touring Plans, created by the authors of The Unofficial Guide to Walt Disney World, uses both quantitative and qualitative data to build their calendars and touring plans. The second plan comes from WDW Prep School. And, the final image is from Easy WDW. Both of these sites utilize primarily qualitative information from the site creators. Ultimately, my decisions are based on the purpose of my visit. This trip is geared toward experiencing Epcot® International Flower & Garden Festival. So, I planned my week around time in Epcot, while still finding time to hang out in the other three parks. I had originally thought I would be unable to spend time at Disney’s Animal Kingdom, but I reconsidered and will be spending a morning in that park. My plan is to experience attractions I have not seen during my previous visits and to view some of the construction happening around DAK. 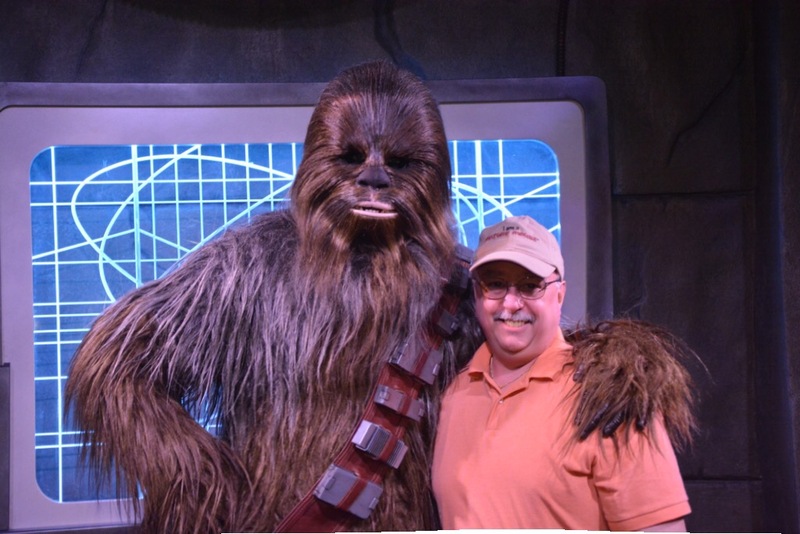 Another goal of this trip is to meet some of the characters in the various parks. The Mature Mouse™ does not understand why people do not plan for their Walt Disney World vacations. Maybe it is because they think a Disney Park is like any other amusement park. “Let’s drop by Disney for a day of rides, carnival games, and junk food.” It could be that many visitors to Walt Disney World do not realize the size and scope of this resort. Would you make a plan to visit a city, like San Francisco? Even if you had visited there before, wouldn’t you plan your next visit? Where to stay? Where to eat? What attractions you would want to experience during your stay? Although I have never been to San Francisco, I assume that it is not possible to see and do everything in this unique destination during a single trip. Walt Disney World covers more than 40 square miles, which is approximately the size of San Francisco, or twice the size of Manhattan. As of 2013, Walt Disney World employed over 62,000 people, making it the largest single-site employer in the country (Today.com). If you visit the resort website, you will see that there are hundreds of dining options throughout Walt Disney World, which includes both the parks and resorts. And, according to TouringPlans.com, there are over 30.4 thousand rooms, in different types of resorts. Given the scope of Walt Disney World, why wouldn’t you plan your vacation? It is impossible to see and do everything while at Walt Disney World. Planning gives you a guide to make the most of your time at WDW. 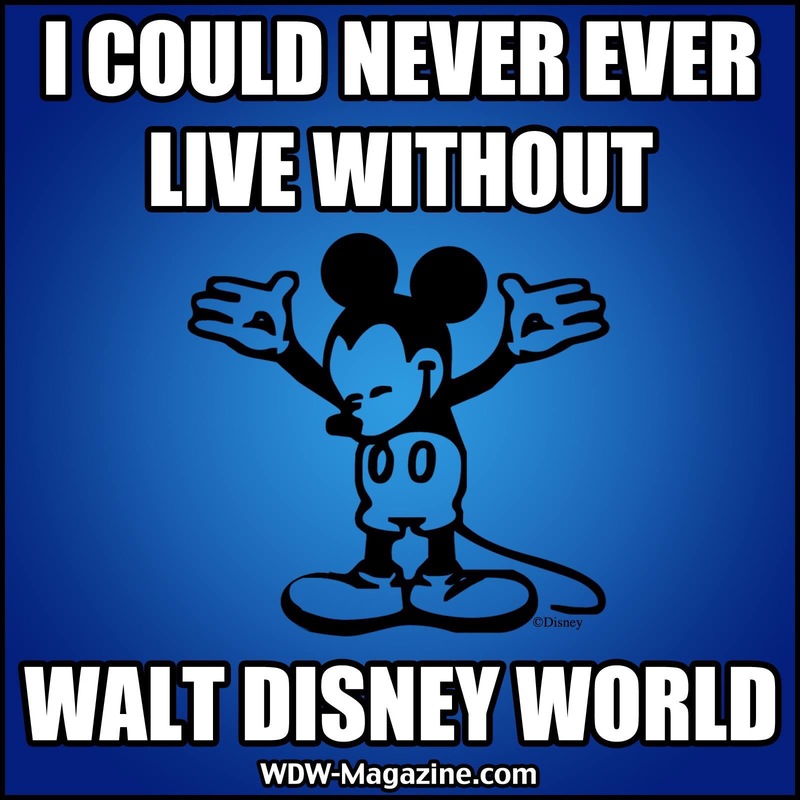 I need Disney in my life!